The 2018 Volkswagen Atlas was introduced to the market this year after being unveiled at the Los Angeles International Auto Show in 2016. That said, the Atlas originated way back in 2013 when Volkswagen unveiled the CrossBlue concept. Yes, Volkswagen has long been toying with the idea of ​​producing a midsize SUV offering space for 7 passengers. And when we see the final product, we can’t help but wonder why VW waited so long. The all-new 2018 Volkswagen Atlas features square and sturdy lines that are not lacking in refinement. Yes, the new Atlas is imposing, but it is also luxurious and exudes an assured presence. And it only gets better once you step inside. 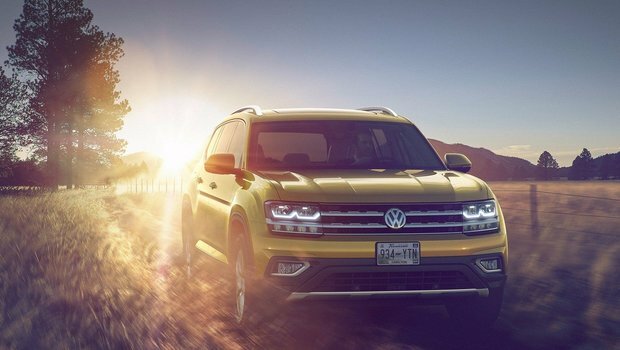 The Volkswagen Atlas is obviously a midsize SUV that focuses on interior space and comfort, but that doesn’t mean that it isn’t capable, powerful, and efficient. It is powered out of the gate by a 2.0-liter four-cylinder engine developing 235 horsepower, while a 3.6-liter V6 is available as an option. In both cases, the engine sends its power to all four wheels through the 4Motion all-wheel drive system. The Volkswagen Atlas comes in four versions with the entry-level Trendline version available starting at $35,690. This version may be the most affordable model of the Atlas family, yet it offers an impressive level of equipment starting with 18-inch wheels, Apple CarPlay and Android Auto connectivity features, a wide-angled rearview camera, and automatic braking with collision avoidance. 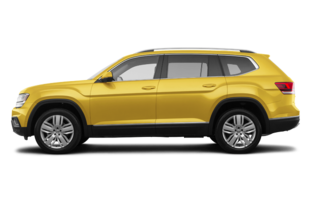 The Volkswagen Atlas Comfortline adds three-zone climate, keyless entry, blind spot monitoring with rear cross-traffic monitoring, remote start, 8.0-inch screen, and front automatic braking with pedestrian surveillance. Then comes the Highline model available starting at $48,990 which offers a power tailgate, panoramic sunroof, heated rear seats, and parking assistance. And if you thought that was all, there's also the high-end Execline model that adds 20-inch wheels, a 360-degree camera, a 12-speaker Fender audio system, and an upscale digital cockpit. 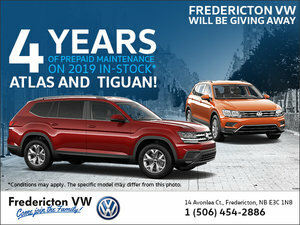 Come and discover the all-new Volkswagen Atlas today at Fredericton Volkswagen!